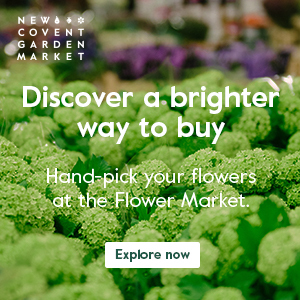 On Monday evening on my Flowerona Facebook page, I posted an image of some ‘Juliet’ David Austin roses, which I’d recently seen at New Covent Garden Flower Market. 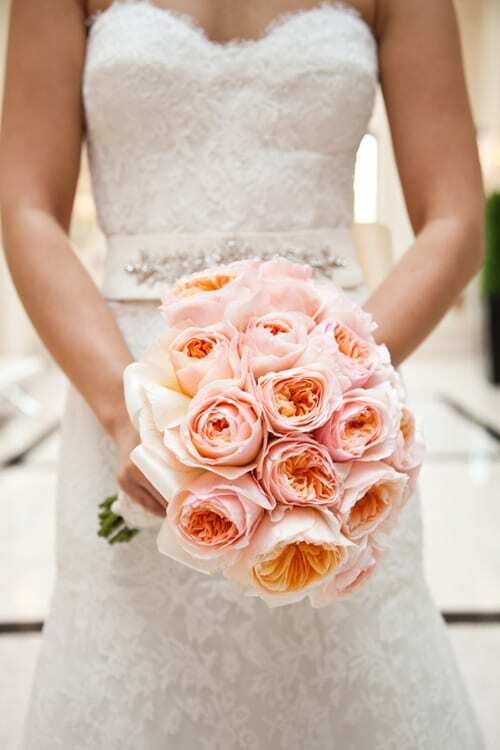 So, today, on Wedding Wednesday, I thought I’d show you some beautiful bridal bouquets featuring this popular peach rose, which is sometimes referred to as a ‘garden rose’ or ‘cabbage rose’. 2. 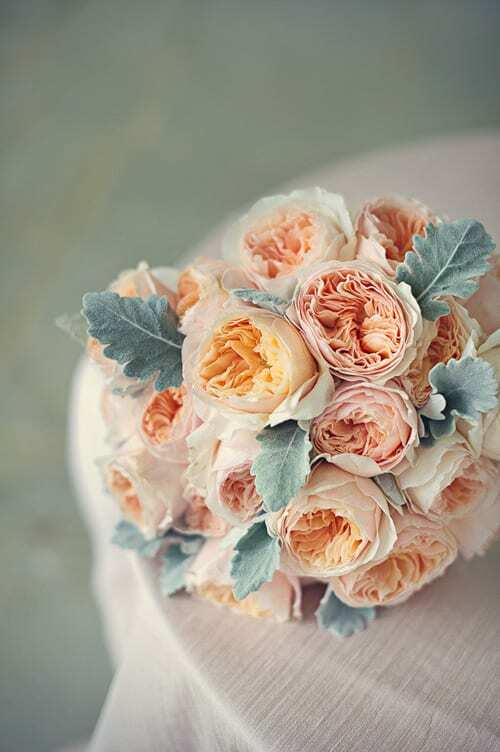 And here’s a wonderful design by Blush Floral Design featuring Juliet roses with Dusty Miller foliage. 3. 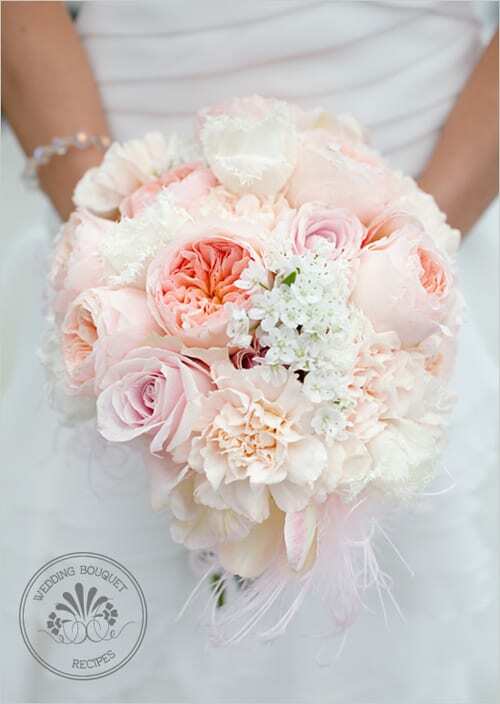 In this bouquet by Hatch Creative Studio, Juliet roses have combined with pink and white roses. 4. 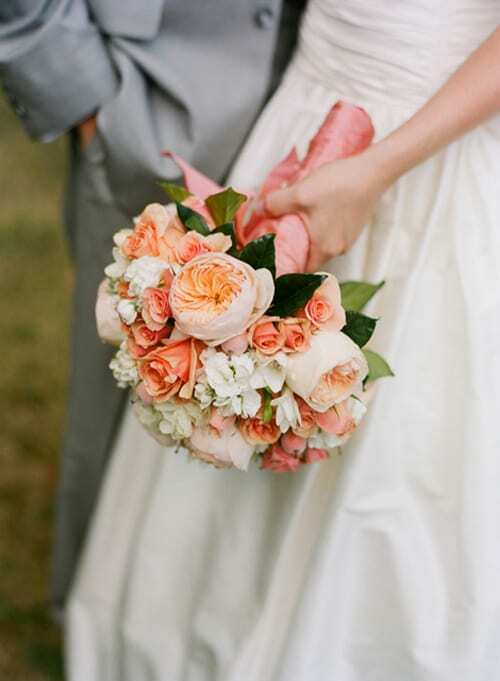 Pale pink Rosalind roses, which are also from David Austin, have been arranged with Juliet roses, paperwhites and rosemary to create this bridal bouquet. 5. 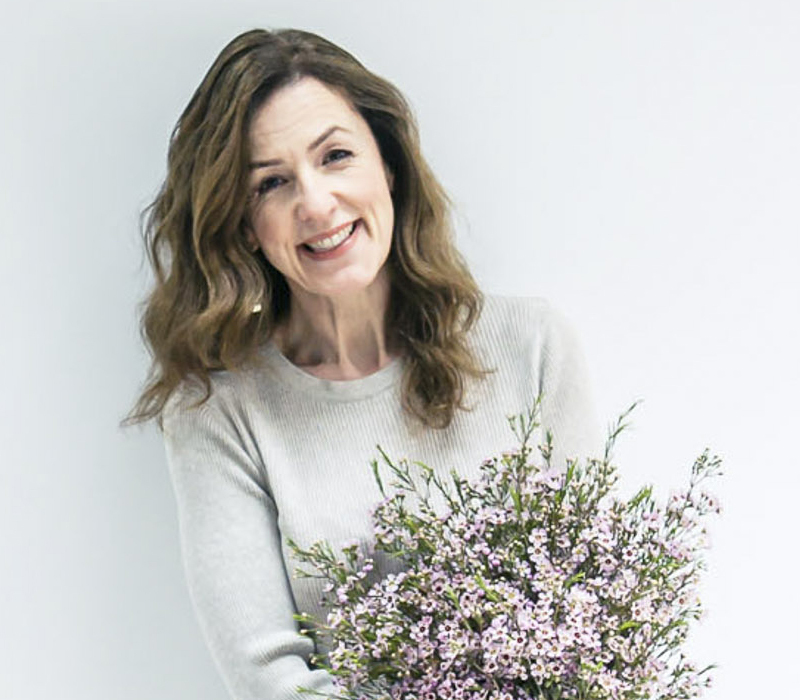 Holly Chapple has made this design using Juliet roses, Ilse spray roses, white hydrangea, white stocks and white freesia. 6. 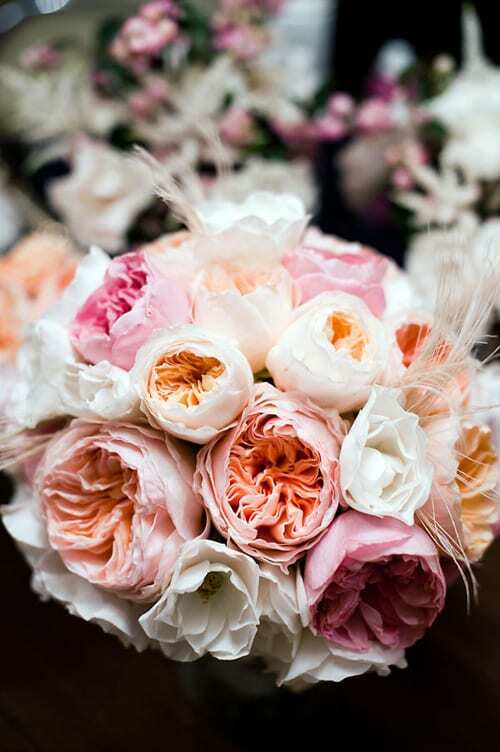 And I adore this bouquet by Floral Cadet…it features Juliet roses, Sweet Avalanche roses, white fringed tulips, ‘Libretto’ parrot tulips, ‘Lizzy’ peach carnations and Allium neapolitanum. So, I hope you’ve enjoyed looking through these breath-taking bridal bouquets today featuring ‘Juliet’ David Austin roses. It’s made with David Austin ‘Juliet’ Roses, Vendela and Sweet Akito roses, Astilbe and Stephanotis. 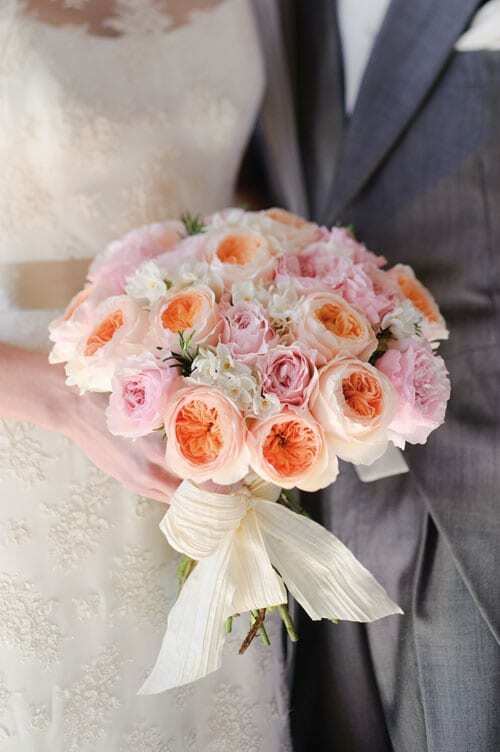 Thank you so much for sharing your stunning bouquet with Flowerona readers! Hope you’re having a lovely summer over in Romania.